Ross reported on a government form released June 18, as required by federal ethics rules, that he shorted stock in Navigator Holdings in October. The New York Times reported June 19 that the transaction came three business days after a Times reporter submitted questions to Ross about Navigator. The transaction, listed as worth between $100,000 and $250,000, was first reported June 18 by Forbes. Ross rebuffed any suggestions that he shorted the Navigator stock based on confidential information to make a profit. He said the transaction was part of his effort to divest from Navigator and that he did not stand to gain if the stock fell, or lose if it rose, at the time. Sen. Ron Wyden, the ranking Democratic on the Senate Finance Committee, criticized Ross for the stock trade during a hearing June 20 examining tariffs on imported aluminum and steel. Ross did not respond to Wyden’s statement. In short selling, a person borrows shares of a stock and sells them. The aim is to then replace the borrowed shares with others bought later at a lower price, reaping a profit from the difference. Navigator counts a Russian gas producer with ties to the Kremlin among its major customers. 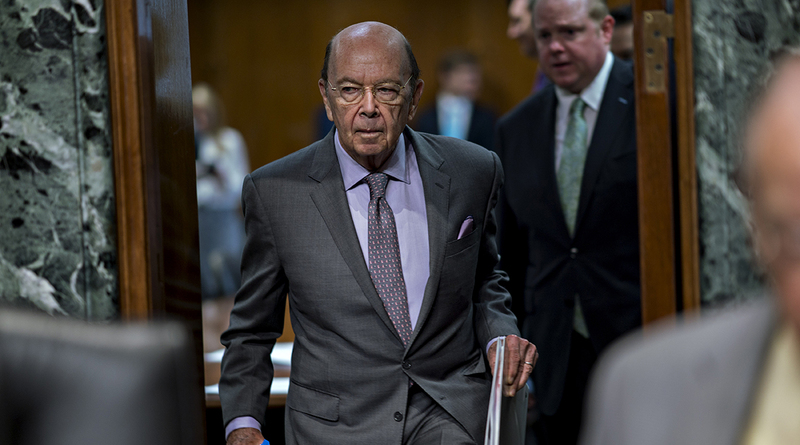 President Donald Trump tapped Ross, a billionaire investor in distressed companies, to be his administration’s point man on trade and manufacturing as commerce chief. His spokesmen said in November that Ross planned to completely divest from Navigator, although he wasn’t required to do so under his ethics agreement as an incoming Cabinet member, because he wanted to avoid any possible perception of a conflict of interest. Ross says now that he has completely divested his Navigator holdings. In a statement June 19, Ross said it would be “completely false” to imply that the transactions involved insider trading using nonpublic information. The Times reporter “contacted me to write about my personal financial holdings and not about Navigator Holdings or its prospects,” he said. “I did not receive any nonpublic information due to my government position, nor did I receive any nonpublic information from a government employee. Securities laws presume that information known to or provided by a news organization is by definition public information,” Ross’ statement said. When he received the physical shares Nov. 16, Ross said he delivered them to the broker to close the transaction. “Therefore, it made no economic difference to me whether the shares went up or down between the sale date and the date I delivered them,” he said. The owners of Sibur, the Russian gas producer that is a major customer of Navigator, have included two Russian oligarchs close to President Vladimir Putin and a businessman believed to be Putin’s son-in-law. Navigator ships products from Sibur. Navigator is one of a few companies in the world that can transport liquefied petroleum gas in cold and icy conditions. Russia is known for its brutal winters as well as its giant, state-controlled oil and gas producers.